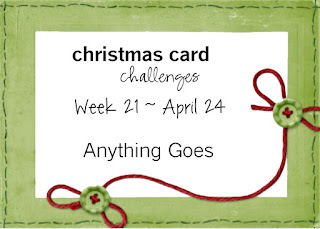 It's "Anything Goes" week at Christmas Card Challenges. 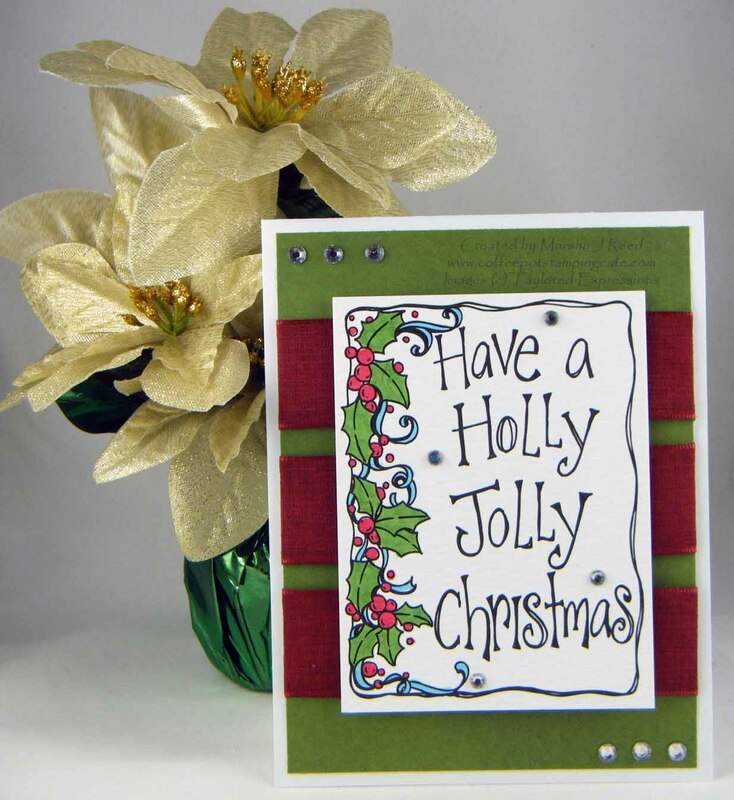 For my card I again used one of the Christmas 3 x 4 Watercolor Panels from Taylored Expressions. 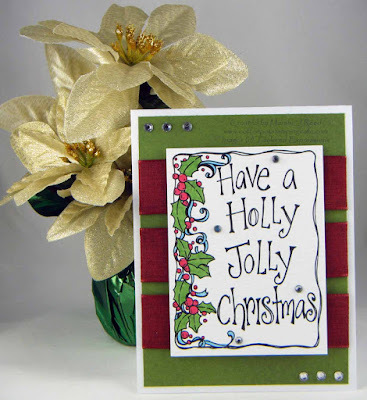 The background paper is from the Graphic 45 Twelve Days of Christmas Paper Pad attached to the Whisper White card base. For a bit of color, I added three strips of the 1" Cherry Cobbler Sheer Linen Ribbon. Rhinestone Basic Jewels finished out the card. Great design! I love those water color panels..so awesome! Thanks, Laurie! Those water color panels have been a lot of fun to color. Love your card Marsh! That panel looks great!